As chairman of Lotus, Dany Bahar sold clothes, made grand plans, showed five concepts, hung out with Stephen Baldwin and other semi-celebs, yelled at us, and did pretty much nothing of value or consequence. Except for one thing: He had his own company car built, and it is now car sale. Bahar commissioned a 2002 Esprit V8 as his own ride when he was in England, because executives don't do well in Elises. And Bahar likes heavy cars. 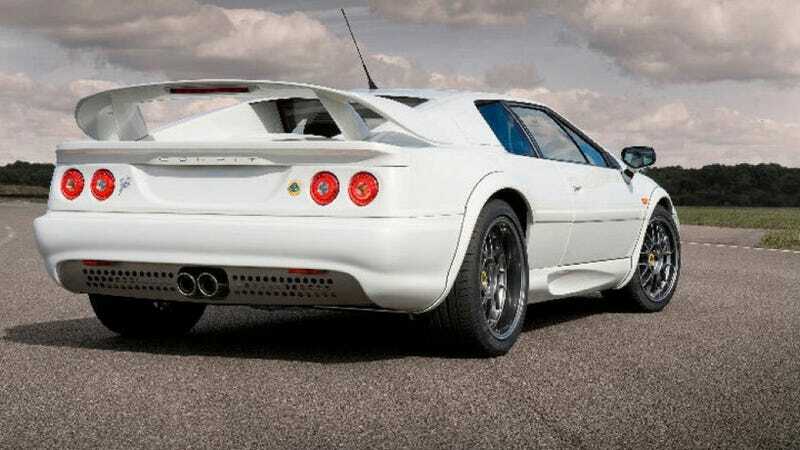 But a normal Esprit was no good for Bahar, that's why his car has a special interior with leather and suede, a fresh repaint in a pearlescent white, and a rebuilt engine and transmission. The car also has AP front brakes and Brembo rears for some reason. The car is being auctioned off through Lotus dealers in England, so now is a good time to take a trip to the other side of the pond and come back with one of the coolest cars out of the country. Because pop up headlamps.